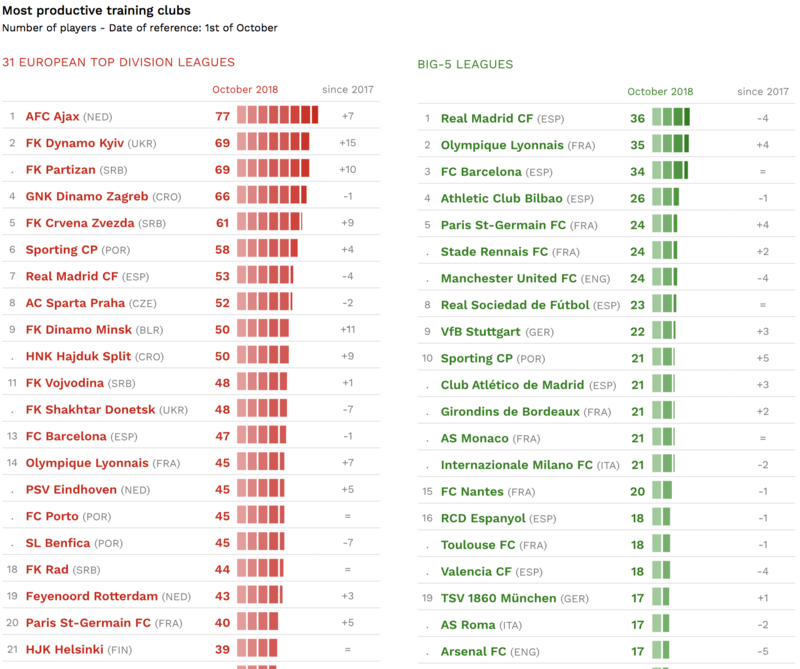 October 30 – Real Madrid are the standout Big 5 club in Europe when it comes to training top quality players, but Ajax lead the way in terms of players trained who are competing in the top divisions across the continent. The CIES Football Observatory data examines the numbers of players clubs in 31 of Europe’s top divisions and the big-5 leagues respectively have trained. The highest figures were recorded for AFC Ajax for players in the 31 top divisions with 77 players trained. Real Madrid top the Big 5 league table with 35 players trained and playing in these five leagues. Real have trained 53 players who are currently playing in top division leagues across Europe. Barcelona are third in the ranking. English clubs are notable by their absence with Manchester United highest ranked at fifth with 24 club trained players in the Big 5 leagues. CIES follows UEFA definition of club-trained, with training clubs being teams where footballers played for at least three seasons while aged between 15 and 21 years. 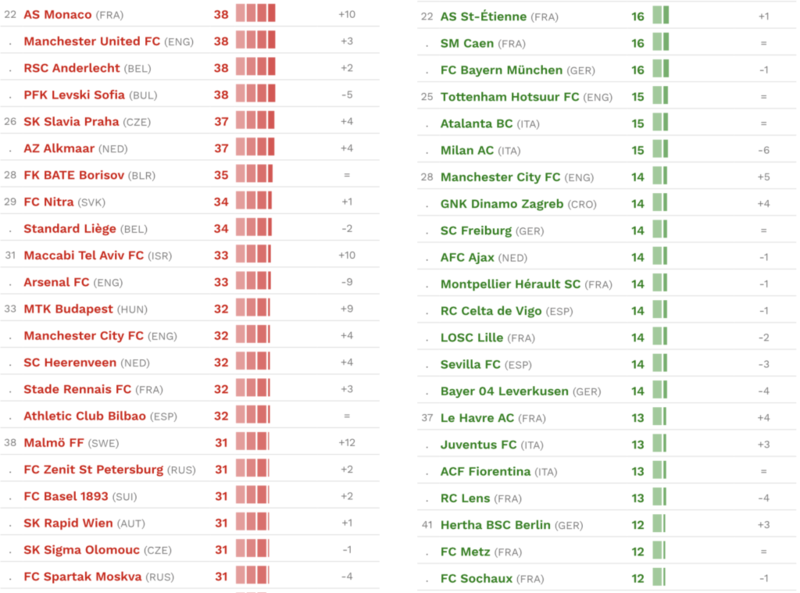 The tables show only 16 clubs in the Big 5 leagues having trained 20 or more players still playing in those leagues. In comparison, across Europe, 26 clubs have trained 40 or more players active in the top leagues.